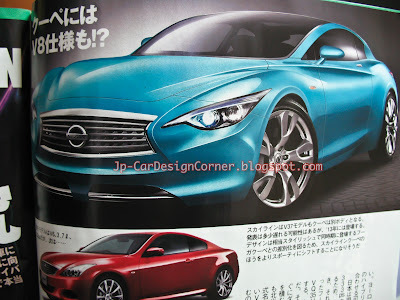 日本自動車デザインコーナー 「Japanese Car Design Corner」: All-new Nissan Skyline coming in 2013 - AMG engine likely to be fitted! All-new Nissan Skyline coming in 2013 - AMG engine likely to be fitted! 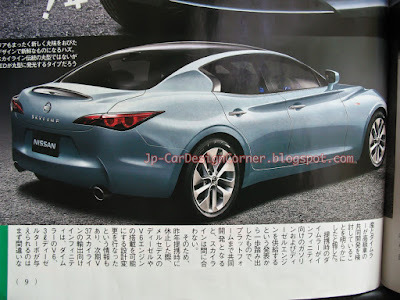 The all new Nissan Skyline (earlier post), aka Infiniti G, which is known internally as the V37, will hit the markets in 2013 and according to Japanese Best Car magazine, a V8 may be fitted (113M55), which will be a tuned down version of Merc's engine fitted in a number of AMG models. 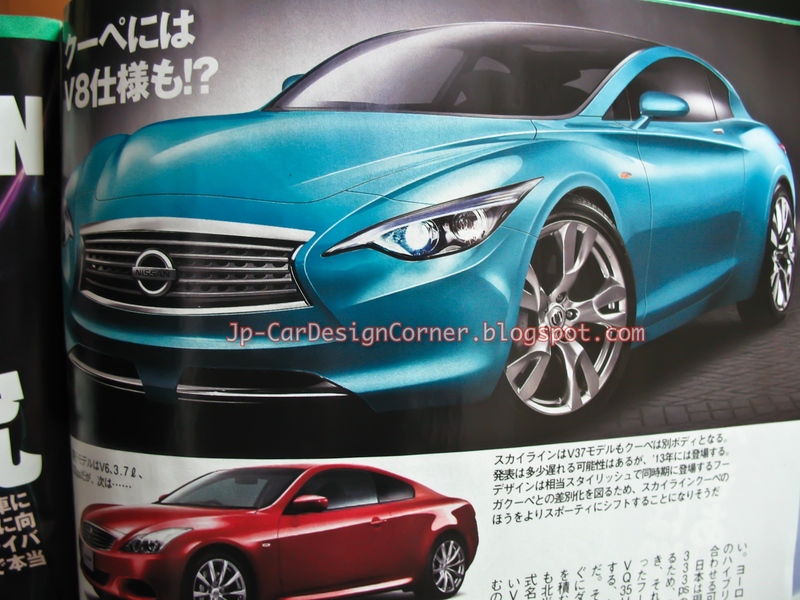 The power output is expected to be around 360 ps. A hybrid model will be also introduced, which is going to be coupled to the VQ35HR V6 engine. 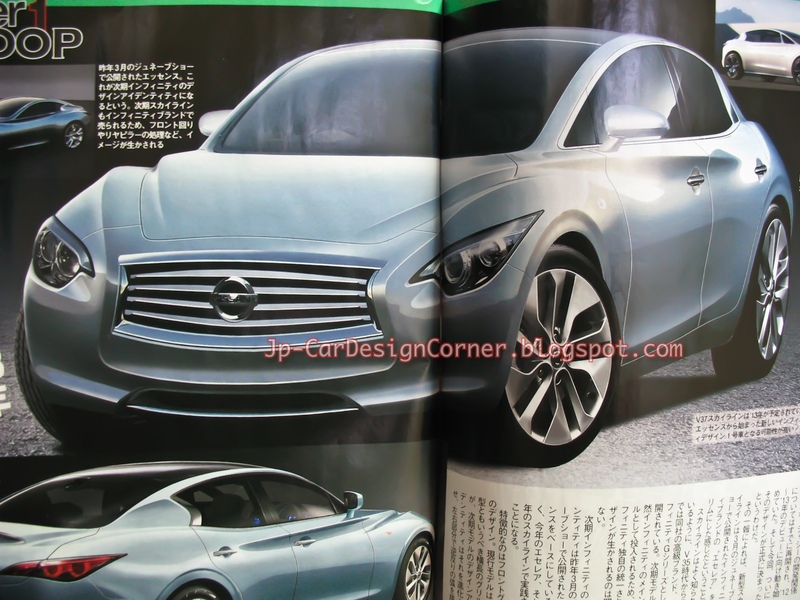 The fuel efficiency of the hybrid model should be around 20.0 km/L.